Modern resumes are an ideal choice for those seeking work in a modern workplace. 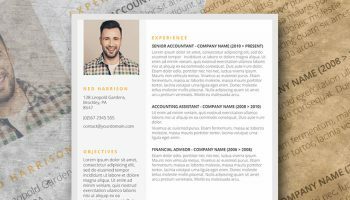 Many new start-up businesses and tech companies will be looking for candidates using resumes that can quickly and stylishly deliver all the information they are looking for. If you take a look at the templates we have listed below, you will notice that they all are similar in the way that your information is prioritized and structured. We understand that many companies will process resumes through multiple proofing processes and our free modern resume templates are designed with this in mind to be easily readable. Before your resume even makes it into the hands of a recruiter, it will be given a cursory scan by a member of staff to make sure that it ticks all of their boxes and fits their requirements. What will be scanned for are those obvious keywords and key phrases that make it clear you carry the right experience needed for the job. The first scan can take only a few seconds to perform before your resume is consigned to either the recycling bin or is accepted for consideration. 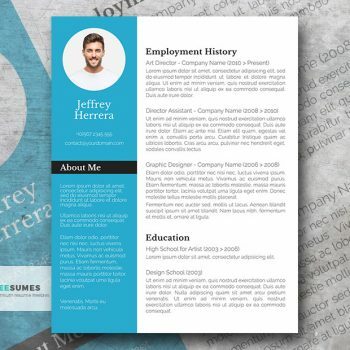 Our modern resume designs make it easy for your keywords to stand out and be picked up quickly. However, we are also very aware that those resumes that do make it through the initial scan will eventually be placed into the hands of a recruiter that will scrutinize it further. This is why our resume templates have been structured to allow you to enrich your presentation with plenty of valuable and job-specific information to engage the mind and capture the human eye. Did you know that an average job vacancy in the US attracts around 250 job applicants? You need to know what to include on your resume to deliver what your recruiter needs to see. Imagine being the recruiter that has to sort through that many resumes! Don’t you think you would get bored after looking at about TEN applicants’ details? This is why our modern resume templates have been designed in a way that is both functional but also remains pleasing to the eye. 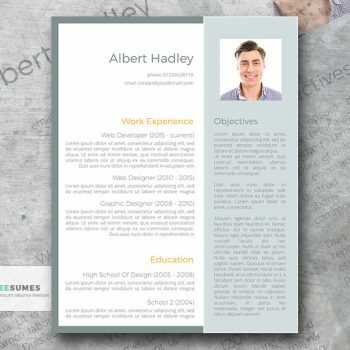 Our stylish designs will allow your resume to stand out from the crowd when the recruiter face a sea of generic and plain looking resumes. Our modern themes deliver a high level of information, but still allow your true personality to shine through. 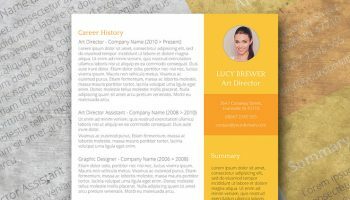 Our modern resume examples offer you the right mix of style and practicality that will help get your job application past its initial first check and then safely delivered into the hands of your recruiter. They have been carefully structured to be easy to read and allow your key skills and experience to stand out. 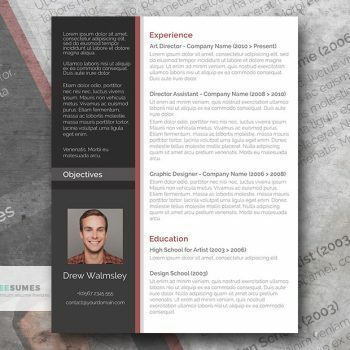 The added style element makes your resume look very professional and well presented. The overall look of your resume and the feeling it generates within its readers is just as important as the information it contains. The fonts we use in our templates are essential too. Ultimately, we have chosen fonts that not only look stylish but are also functional. Fonts need to have easy readability to get through all the whole selection process. It is amazing how many perfectly good resumes get rejected by a company just because it is too difficult to read the fonts used. However, this doesn’t mean that you need to stick to Times New Roman. In fact, it may actually be a negative move because it can give your overall resume a dated look that isn’t appealing to modern recruiters. Choosing the right fonts for your resume is very important – so choose wisely. 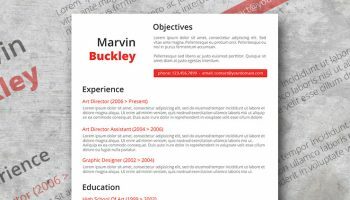 Or you can simply download one of our superb, ready-to-use free modern resume templates that are already set up with the best font choices for you. Remember – a modern font is best for impressing a modern employer. Steer clear of overused fonts such as Arial, instead go for something that is both stylish and easy to read, such as Open Sans, which is a good choice for its ease of readability both on-screen and off. 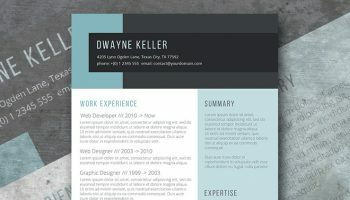 No need to be a professional graphic designer to create a beautiful resume. 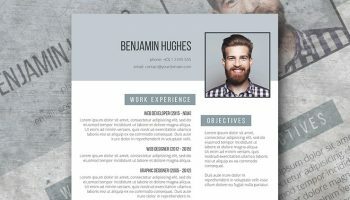 Just download this free template with just one single click and start filling it with your own professional experience and other credentials.